Neuropathic pain may be associated with a variety of complex processes and interactions at many levels of the nervous system. Current recommendations are for early intervention to attenuate the cellular processes that may lead to persistent pain. For example, c-fos is expressed within minutes and dorsal horn sprouting occurs within days. More than one pain-generating mechanism is likely to be operative in the individual patient, and treatment aims to target these with a variety of pharmacologically distinct drugs. Despite this, many patients continue to experience pain despite optimal use of available therapies. Therapies are limited in the critical care setting. Neuropathic pain tends to be poorly responsive to parenteral opioids ( Sidd§IL.§Dá..Cousinisi 1995). For regional pain, epidural opioids are combined with bupivacaine (usually more than 0.125 per cent), and clonidine, an a 2 agonist, may often be administered. Diffuse pain, such as that occurring after a spinal cord injury, may respond to the membrane-stabilizing effects of subcutaneous or intravenous lignocaine (lidocaine) (loading dose followed by 50-100 mg/h) or ketamine (10-30 mg/h), which is an N-methyl-D-aspartate antagonist and may be of benefit in suitable patients. Oral agents such as mexiletine, which has a membrane-stabilizing action, or anticonvulsants (e.g. sodium valproate, carbamazepine, and gabapentin) may be tried. 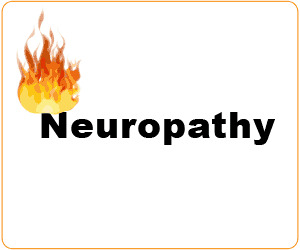 Complex regional pain syndrome type 1 (reflex sympathetic dystrophy) or type 2 (causalgia) may respond to sympathetic nerve blocks or regional sympathetic blockade with guanethidine or bretylium. 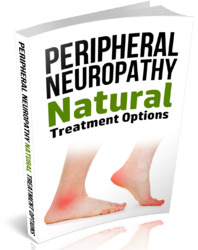 If these interventions fail, treatments are similar to those for neuropathic pain. Marked lower-limb edema may be a component of complex regional pain syndrome and act as a peripheral 'generator'. In severe cases intense spinal analgesia with bupivacaine is used with monitoring in a critical care unit to reverse proposed postcapillary sphincter spasm. Early involvement of the chronic pain service is recommended.